Hi Beauties!!!! Ever wish you could skip the mascara and lash curling every day? YOU CAN!! 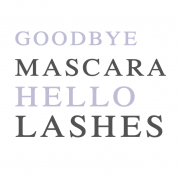 According to Cosmopolitan Magazine the same great Lash Lift services we offer to Beauties in Seattle, Bellevue, Renton, Federal Way, Kent – and even Tacoma since it’s such an easy drive are becoming MORE POPULAR than MASCARA! 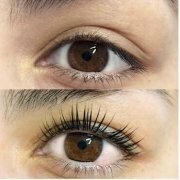 You can try our LASH LIFT services once or enroll in one of our Membership programs right away to save time and money. Unlike eyelash extensions, a the lifting process maximizes the WOW FACTOR of YOUR LASHES – no extensions to fall out, just the most beautiful YOU! This before and after demonstrates just how much of an impact a single Lash Lift service can have. In addition, you can pair Lash Lift services with lash tinting (especially if you take us up on one of our membership programs) to darken your lashes to achieve even more dramatic eyelashes. This service enables you to toss the mascara and the eyelash curler. It reduces the amount of time you need to spend every day on your beauty regimen. Maybe best of all, these results last for weeks! And the effects are amazing. Your eyes look more open and your eyelashes appear to be longer, from the moment you get out of bed in the morning with no mascara or eyelash curling! 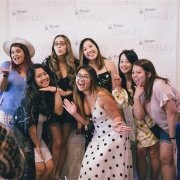 Let’s talk memberships! We have two plans to choose from and with either membership program you save money, save time and get the most bang for your beauty dollar. In addition, you can have peace of mind in knowing that our lash artists are highly skilled and experienced. Member benefits begin after Membership is active for one (1) month. May be canceled at any time, upon which benefits will expire at the end of the month. Need to come back before 6 weeks? It’s ok, we can accommodate this with a small surcharge. We also offer a basic membership that still lets you keep your lashes looking amazing every day. 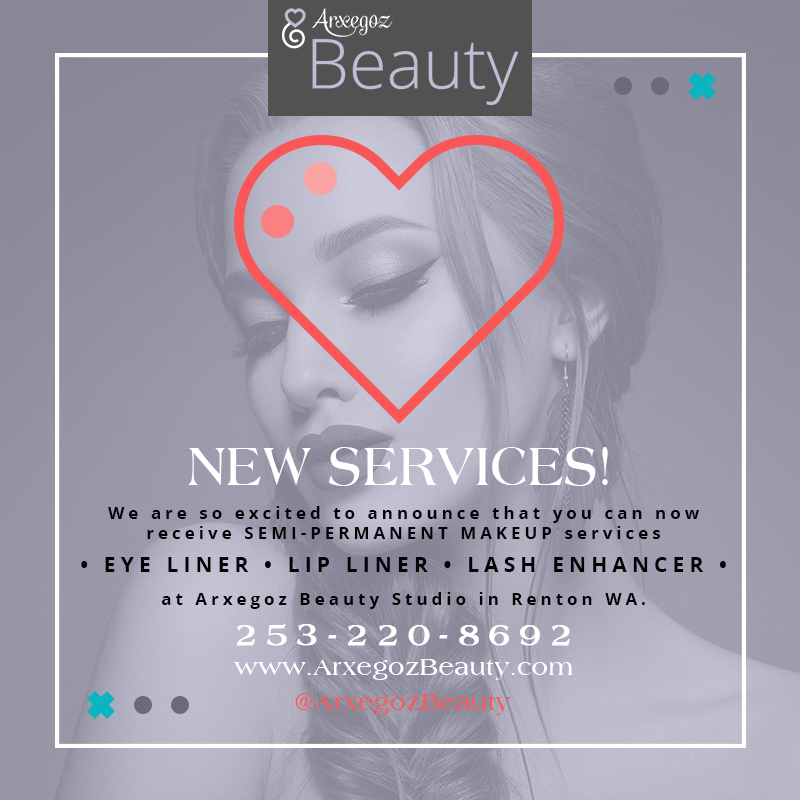 The salon experience at the Arxegoz Beauty studio in Renton WA is like no other. You’re welcome to come by, hang out, bring a friend, work, lounge and stay as long as you like. Workspace? We’ve got it. Free Wi-Fi? Absolutely. Food? Yes, you can bring your own or pre-order a nutritious, chef-crafted gourmet meal from Arxegoz Eats. True artistry. 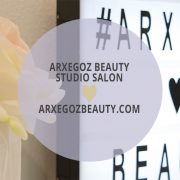 Arxegoz Beauty artists are experienced, fully trained and certified. They work with you to get the optimum results, with thorough mapping and a full consultation. We only want to move forward when you are comfortable with the process and expected results. Your brows and lashes are totally WORTH IT! High-performing products. 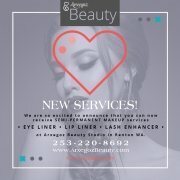 Unlike other lash services, we strive to use the safest, high-performing products. An official Elle Bana distributor, you can relax knowing that the products we’re using are 80 percent organic. Instead of damaging your natural lashes, they help your lashes grow over time. Membership with privileges. We understand that this is an important investment to you. We offer monthly memberships that enable you to save exponentially on services and products, enabling you to maximize your budget. We want you to be able to come back often so you can maintain your desired look. What are you waiting for? Schedule a no-risk, no-obligation consultation and get started with the services you want – and deserve.